As already stated, yesterday I had the pleasure of participating in the very inspiring “NEXT KIDS TECH 2011” conference hosted by the LEGO Foundation in Billund. Besides “just” participating in an exciting conference, I was struck by the culture permeating the organization which is LEGO. I’m fully aware that this experience cannot be separated from happy childhood memories, intensive corporate branding and my personal opinion that LEGO is cool. Even so, the core values of LEGO (some of which are caught on the image to the right) all seemed very credible to me and I returned home with a reinforced conviction, that our schools should be more like the informal, autonomous, open-ended and exploratory learning, which the LEGO bricks so brilliantly facilitates. Less scaffolding and rigid rules, more freedom and exploration. All these important lessons were beautifully illustrated by the little yellow LEGO duck. 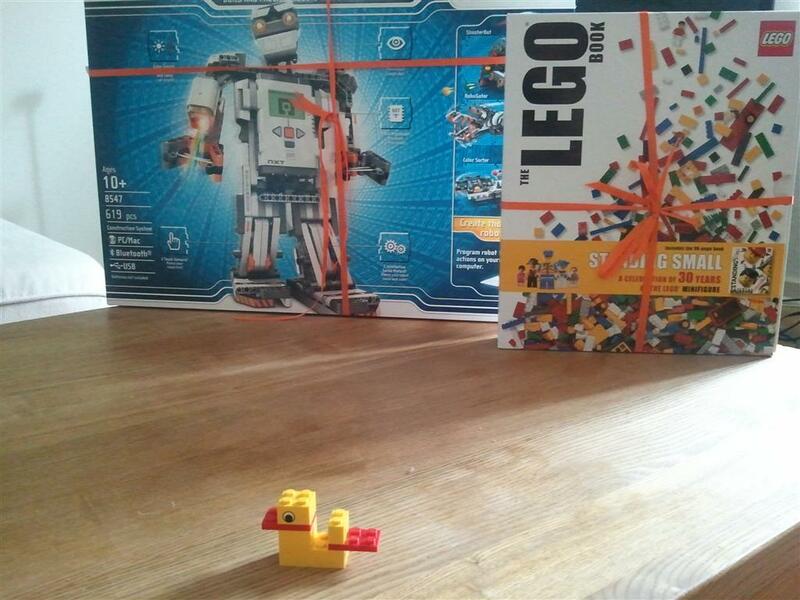 At the end of the day, we all received a tiny bag with just six bricks, and were told to each make our own duck as we thought a proper LEGO duck would look like. Everybody engaged passionately in this, and few ducks ended up looking the same. “There is no wrong way to build with LEGOs, only right ways” we were told. Of course this is all a relatively cheap (yet effective) trick, but two things struck me as being perfectly encapsulated in this little intermezzo (besides all the allready established LEGO-values). First off, the idea expressed above. There are no wrong ways, just right ways, and in addition, if you have enough LEGO, you can build just about anything. The same should go for education – there should be no wrong ways, but rather a multitude of right ways, all depending on your individual preferences, and we should definitely support the notion, that with the right amount of creativity and hard work, you can build anything. Secondly, by building our own little duck, we all experienced a strong sense of ownership over our little creation. Most people kept their ducks, showing them off, and bringing them home to support the memory of a mighty fine day. What if we could instill the same sense of ownership with students in our educational systems by allowing them a more autonomous role in “building” their own education? Definitely worth thinking about, and yet another reminder, that most informal learning (e.g. LEGO or video games) are way better at fostering intrinsic motivation, and that we simply cannot afford to ignore this in formal learning contexts. Today, September 1th, I’m at the conference “Next Kids Tech 2011” organized by The LEGO Foundation, where I’m doing a microtalk and two workshops. Like so many kids, I was happily spending a large amount of time playing with the fabulous LEGO-bricks when I was younger, and it’s thus a great pleasure to contribute to something LEGO’ish. If you want to read more, I’ve written an introduction to game based learning for an upcoming handbook.